In 1985, Amsterdam Airport Schiphol stood at the beginning of major expansion activities in its infrastructure. The capacity of the airport for both passengers and cargo was going to be doubled. The organisation of Amsterdam Airport Schiphol at that time was not ready to manage these huge expansion activities within the required limits of time and money. Up till 1985, there was little awareness that such enormous expansion needed organisational changes concerning communication, accounting, and working methods. Because of the attention needed for these organisational changes, the management could not focus fully on the preparation of the expansion. A consultancy firm was asked to propose and implement a suitable approach to meet the demands of the organisation. • Information supply towards senior management had to be improved. 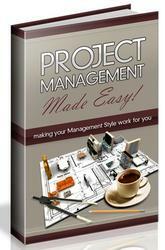 The consultancy firm came to the conclusion that the organisation was lacking a structured project management approach. 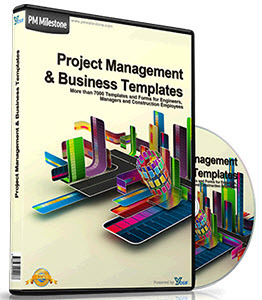 Their consultants introduced a course and a handbook on project management which were based on PI practices based on the first edition of Wijnen et al. (2001, 1984). This consultancy firm acted as an 'expert' consultant and focused on enlarging leadership by the project managers (Aspect 2). Their consultants worked with an attitude of 'we know how to tackle such problems in organisations' and 'we teach the project leaders this knowledge'. They consulted with a very small group of senior managers about their approach. The pitfall of this was that it caused resistance and dissatisfaction among employees at lower levels. They felt ignored and misunderstood. These employees, however, where crucial for the implementation of the new project management approach. The consultancy firm also selected and implemented a software tool for Planning & Control of running activities. This caused a lot of opposition however, and did not appear to be successful. The software was aimed at a constant information flow on the project progress to everyone involved (Aspect 5). It was assumed that this information-oriented communication would provide so much insight, that every task in the project would be fulfilled as prescribed and scheduled (Aspect 7). Meanwhile, another consultancy firm was involved in improving the implementation of smaller projects by the Technical Department and the Operational Department. They were acting in a completely different way. This consultancy firm acted not as an expert, but as a 'process' consultant (Schein, 1969). They worked in close co-operation with technicians on the work floor, providing them with valid and relevant-for-them information about the progress of colleagues in the projects (Aspect 5). The employees in these departments were satisfied with this approach and experienced that such an approach was what they really needed. After two years of trying to implement the Planning & Control approach without any success, an internal project manager was assigned to evaluate and improve the situation. He was an inspiring manager, with great insight and zeal. He brought the most critical factor of the current approach up for discussion: the fact that crucial employees at lower levels were not involved. The new project manager changed the management approach by turning the top-down approach into a bottom-up approach. He also enlarged the contribution of the actual users to the Planning & Control system. He implemented all this by establishing a pilot group in the most urgent department to stimulate imitation elsewhere. In fact, he changed the currently applied 'planning' strategy into an 'entrepreneurial' strategy to give project managers authority to make connections to all stakeholders (Aspect 2). He defined the project tasks in such a way that it became possible for the project groups to be responsible for their own tasks and own information need (Aspect 8). As in R&D, user involvement inevitably means that goals cannot be fixed, as demanded by the first management consultant (Aspect 1). When new insights emerge as a result of new end user demands, goals have to be adjusted. The change in approach, effected by the internal project manager, turned out to be crucial for the later success of the project.